why this green bean flour has to stir fry in wok but GREEN BEAN ALMOND COOKIES no need? Green bean flour has to stir fry for how long? I am gluten intolerance and is looking for receipe for bread and cookies. I saw yr receepe for green bean cookie. Pls adv where/how/what green bean flour is? The cookie has to be dried in the sun for a few days- pls adv how many days, must it be under the sun or just in the house at room temperature? Secondly do you have kueh banjit receipe? 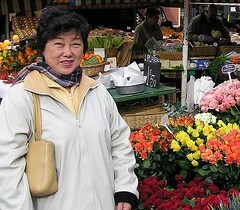 Hi Nancy, Green bean flour is the same as Mung Bean flour. If you can’t find this you can make it at home. Preheat oven to 204 degrees Celcius. Spread beans evenly on baking sheet. Place in oven and roast for 20 minutes until golden, stirring every 5 minutes to prevent burning. Grind/blend for approx 30 seconds, shaking beans in grinder to evenly mix. Once your beans are ground to a fine powder, transfer to a large bowl, and grind the next batch. When you’ve finished, allow the flour to cool and then store in an airtight container in a cool place. I’ve been looking for this recipe for a long time. thank you for sharing. 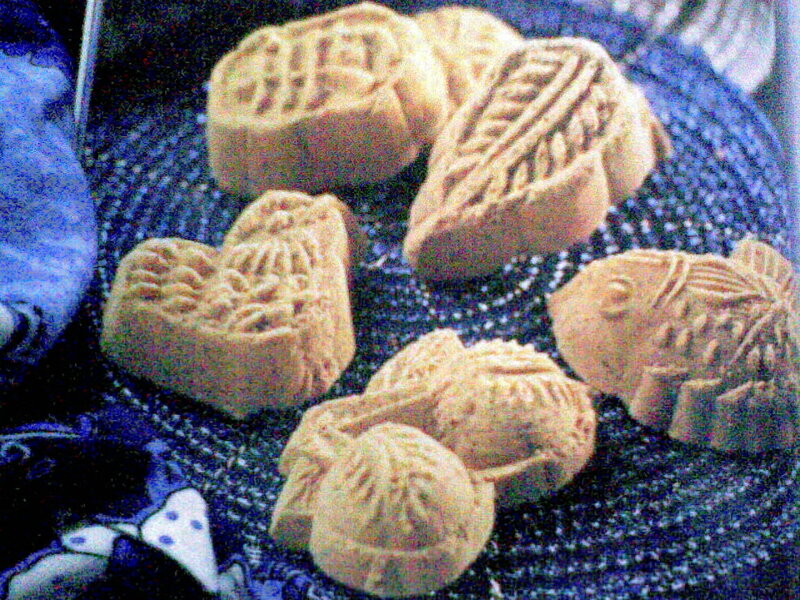 thanks for sharing this lovely recipe… I was wondering if you know how to make red bean cookies similar to this but with red bean instead of green bean? Neat post, Hope to visit soon. Dear Rose, what is green bean flour? where can i buy it and what is the brand name. 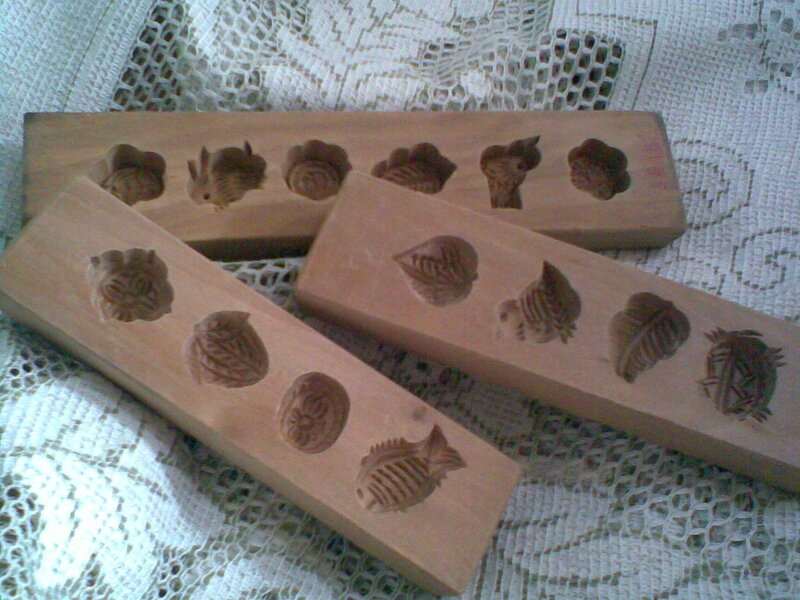 Do you know the history of this Kueh Koya? My grandma makes lots of kuih every Chinese New Year and I have to help! She steamed kuih koya first then baked in the sun till they are dry. She call this ko-w-ah kuih. and she uses only green bean flour – she dry roast the green mung bean in a work on low heat, then send them to the flour mill in town to get grind up. She also mixes her sugar paste – it is a secret – I do not know how she did it – perhaps she mixes castor suger and a little sugar and work on it until they are like icing sugar paste? but her powdery paste is very fine texture, is quite dry and smells wondeful and it keeps for years – I am not able to find the name for this – years later I learn French cuisine and I have not come across this – this is unlike the wet icing sugar spread that we use to spread over cake. This sugar is all that she uses to mix into the green bean flour – I do not recall she add water to the mixture. My grandma is a genious cook – her food is wonderfully delicious and she never did small batches – she has to make for all our relatives ! too bad I was too young to note her recipe. I am very happy to have found your site!! I am delirious with so many wonderful memories. Thank you very, very much, and wish you in good health. Thank you for posting your recipe on Keuh Koya. I have been looking high and low for this recipe. I do not have an oven at home. Can I use the bread toaster to bake it? My oven toaster does not come with a knob for temperature adjustment, can I just heat up the oven toaster before putting in the kueh koya and how long does I need to bake it? Looking forward to your urgent reply. Hello Rose, thanks for leaving your recipe. I’m from New Zealand and buy chinese almond cakes from the store and love them. They look like your ones, with the dough a sandy texture that melts in the mouth. Delicious! However, I can’t find a good recipe anywhere! I know they are made from mung bean flour, sugar, ground almonds, shortening (solid vegetable oil) and I think they also have ground peanuts in them? Do you have any idea what this recipe would be, the amounts etc? And congratulations on beating that cancer! Just like you Rose, I am also a cancer survivor (since 1999). Do take good care of yourself. Thank you once again. Where can I get these moulds? Yours produce vintage designs but from the photo, they don’t look antique. Thank You for the lovely receipe.,I’ve been looking for for this receipe for a long time..I really appreciate it..TyTyTyou.